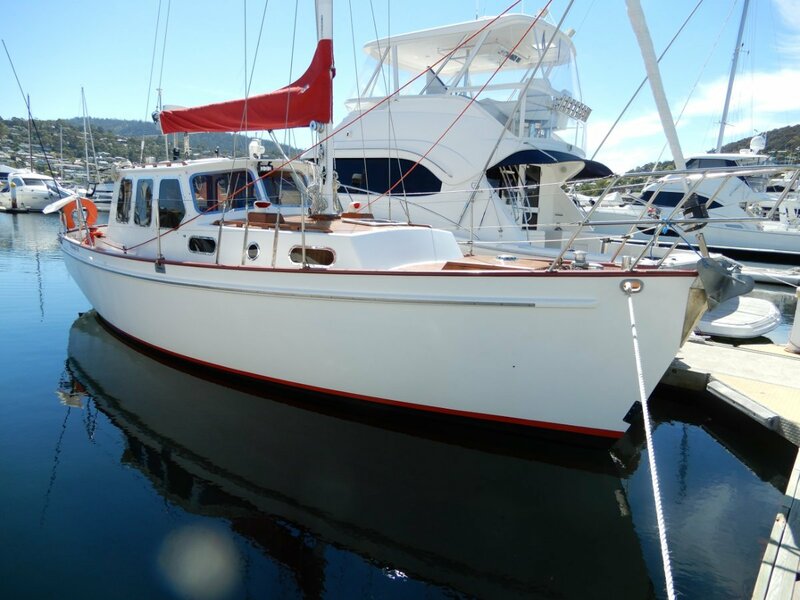 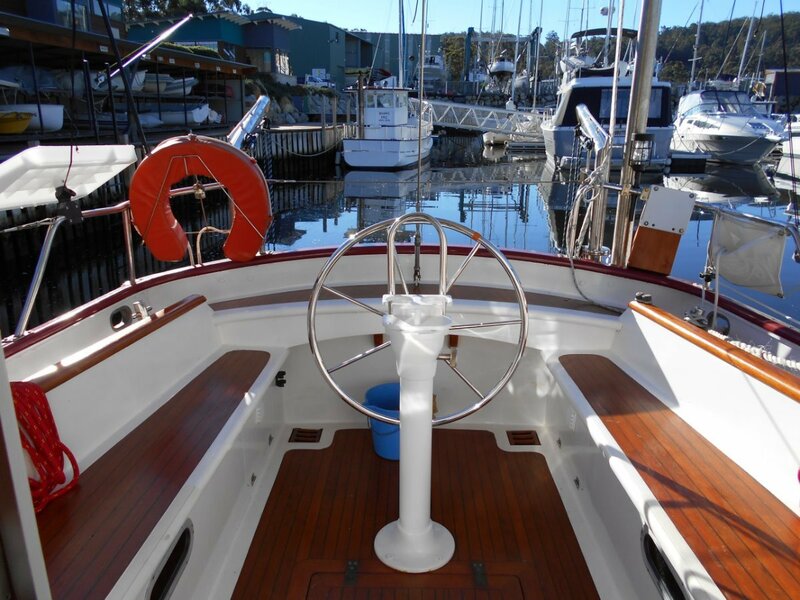 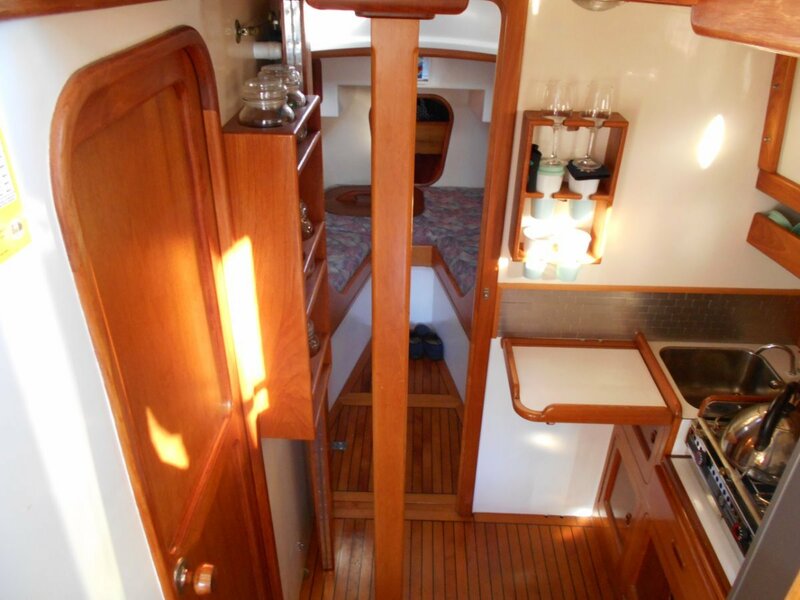 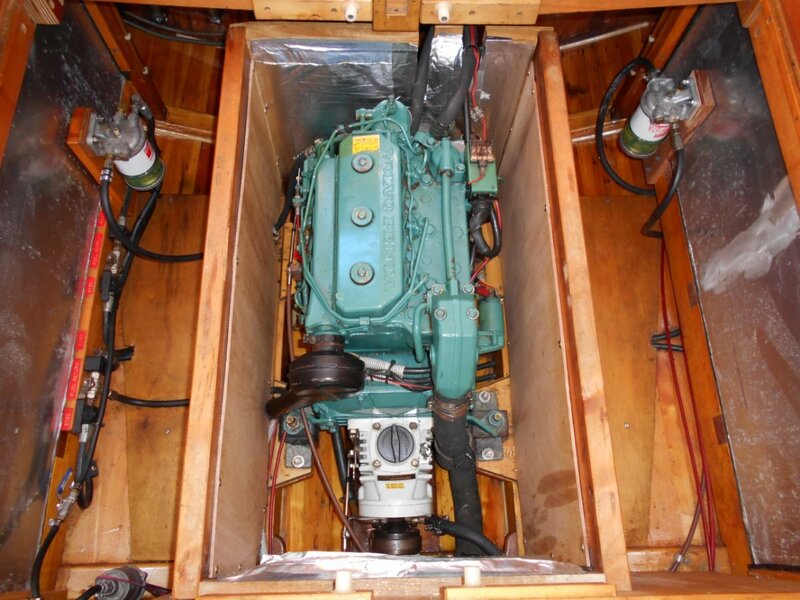 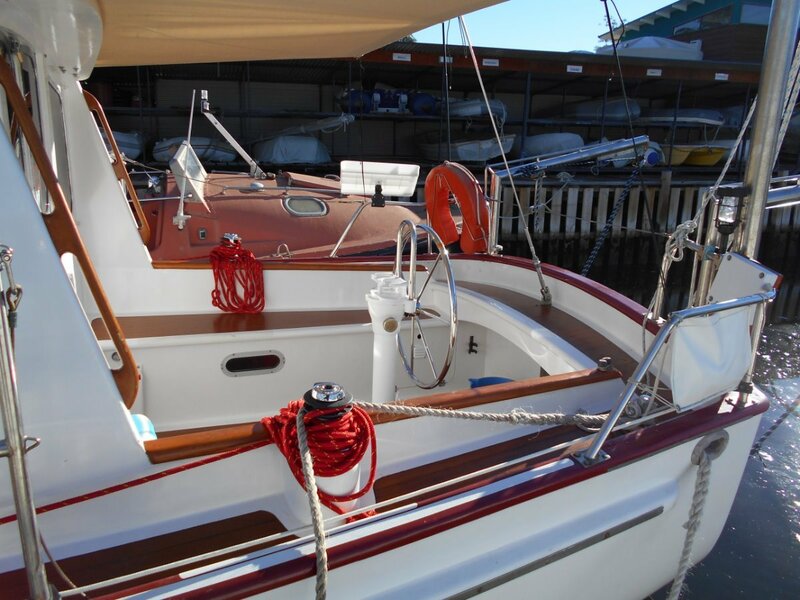 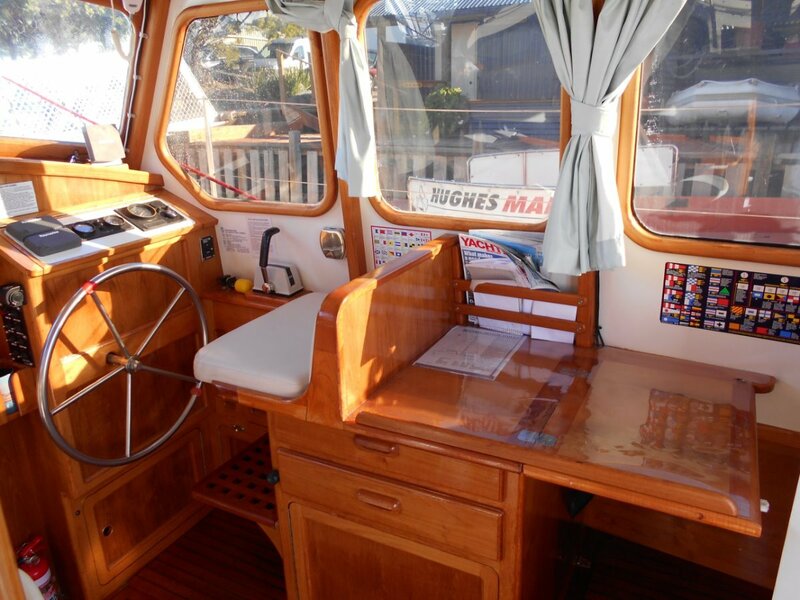 A JOE ADAMS DESIGN, TRUE PILOTHOUSE MOTORSAILER, this boat has been designed and built as the "ideal boat for Tasmanian conditions". 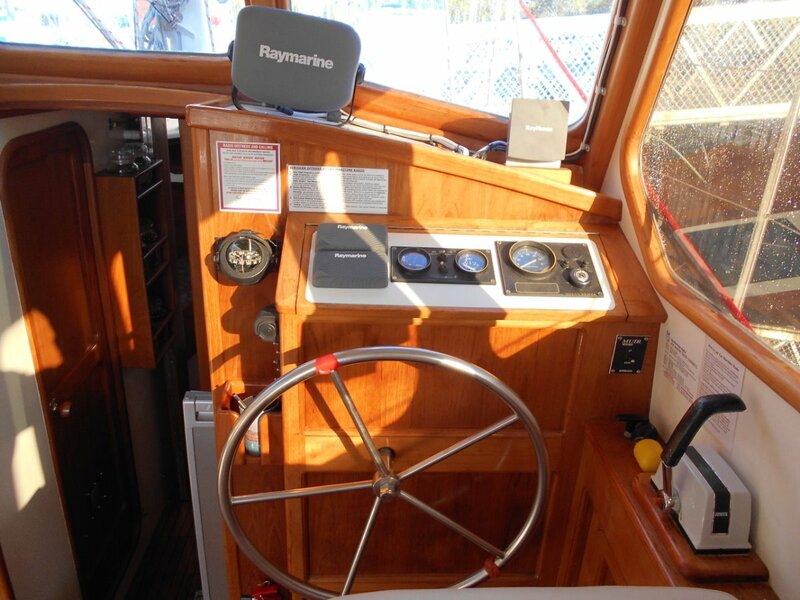 Offering the advantage of cruising under all weather conditions, jump in the pilothouse utilising the internal helm station when the conditions aren't ideal and enjoy the comfort of the diesel heater, or steer from the large stainless steel wheel on a pedestal in the cockpit when the weather allows. 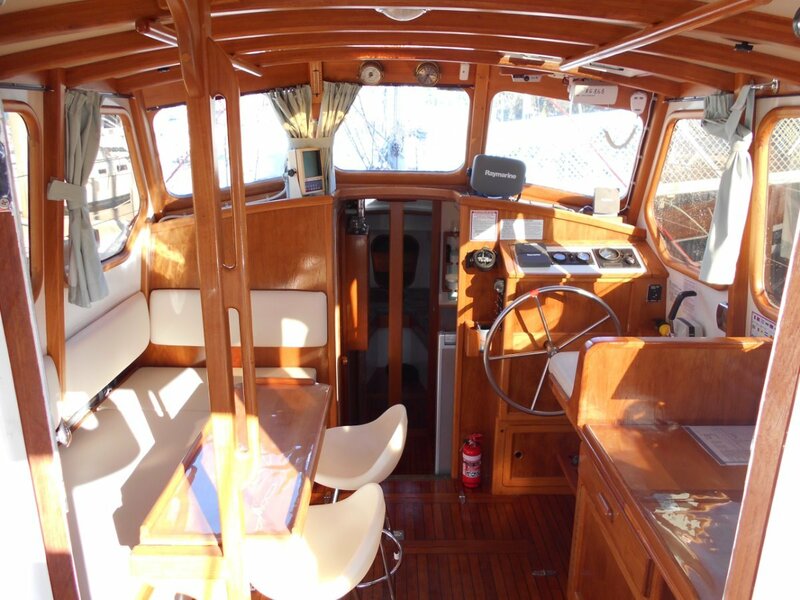 The true versatility is also evident with the boats performance, under power from the 30hp Volvo Diesel, cruising at a very easy 6 knots or enjoying the sailing ability as one expects from Adams designs. 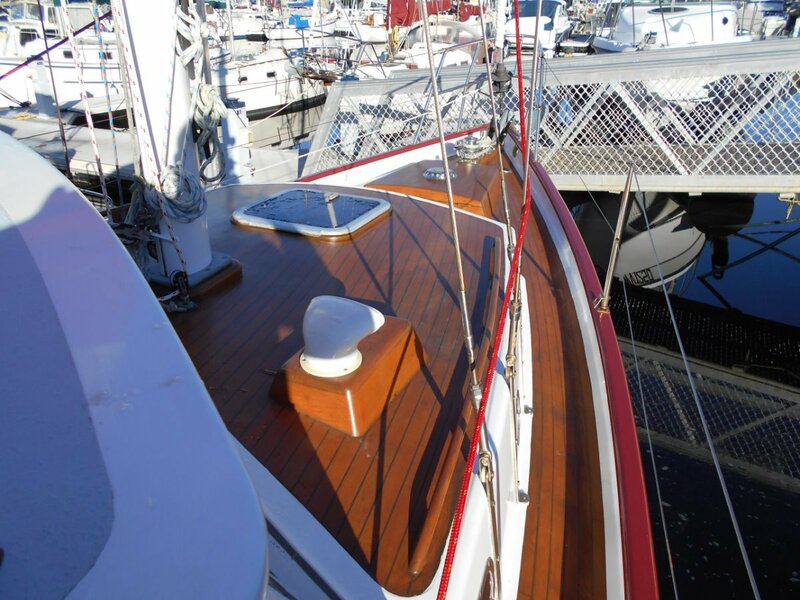 THIS IS A MOTORSAILER THAT DOES SAIL!! 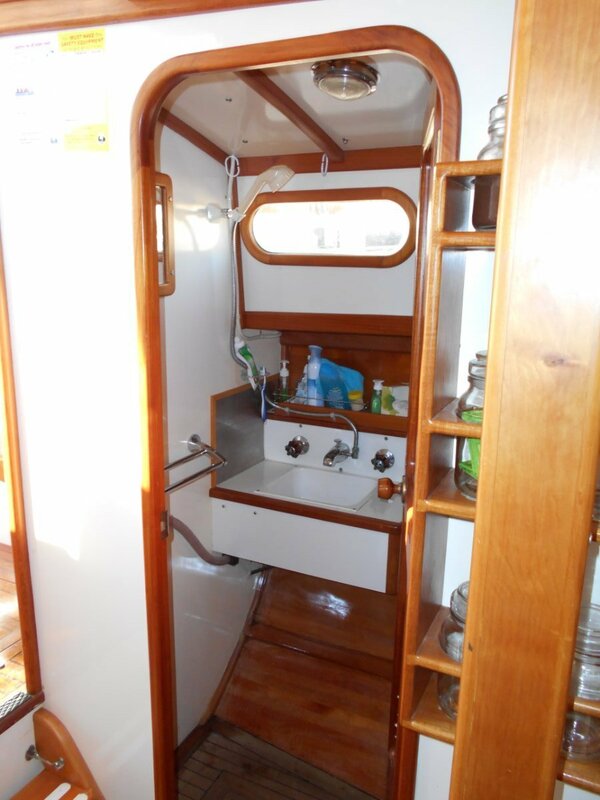 Accommodation is very spacious and can be likened to a much larger boat, great saloon area with fantastic vision in the pliothouse, well appointed galley, then a very large vee berth in its own for'ard cabin which can be used as 2 singles or a large double, then two good quarter berths aft. 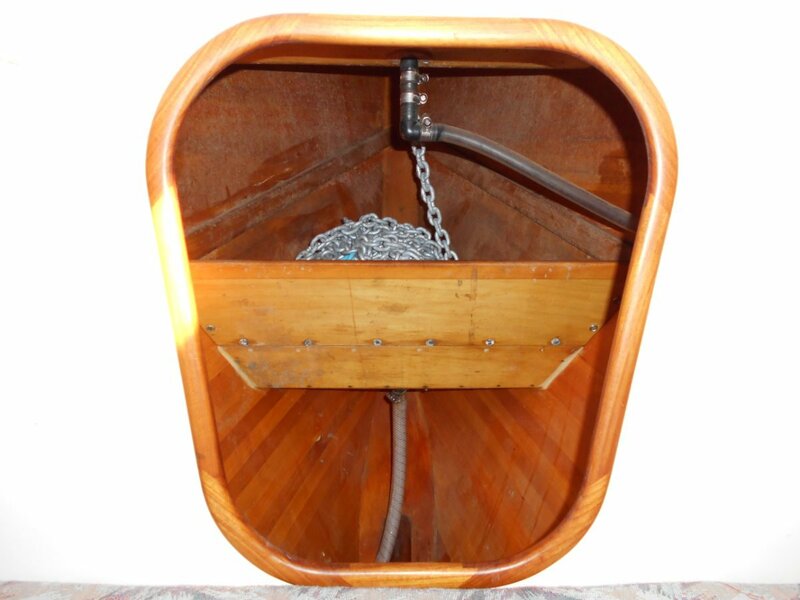 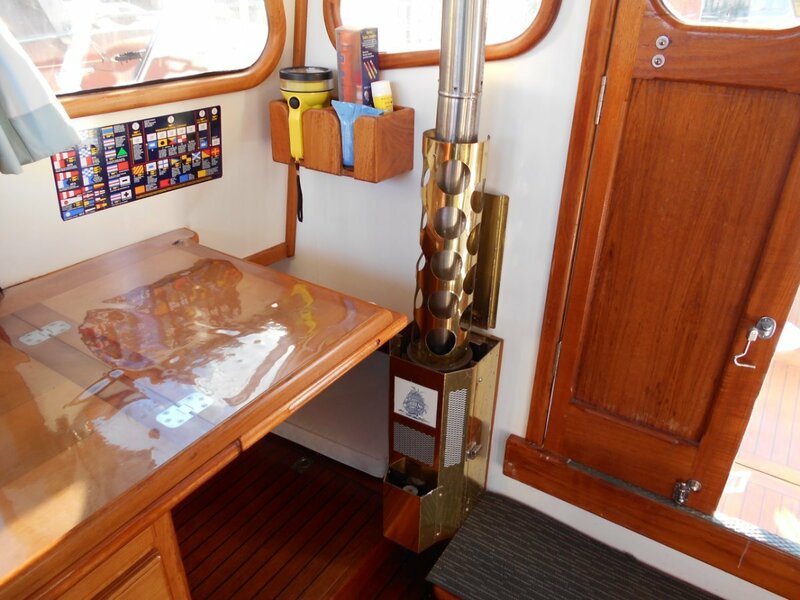 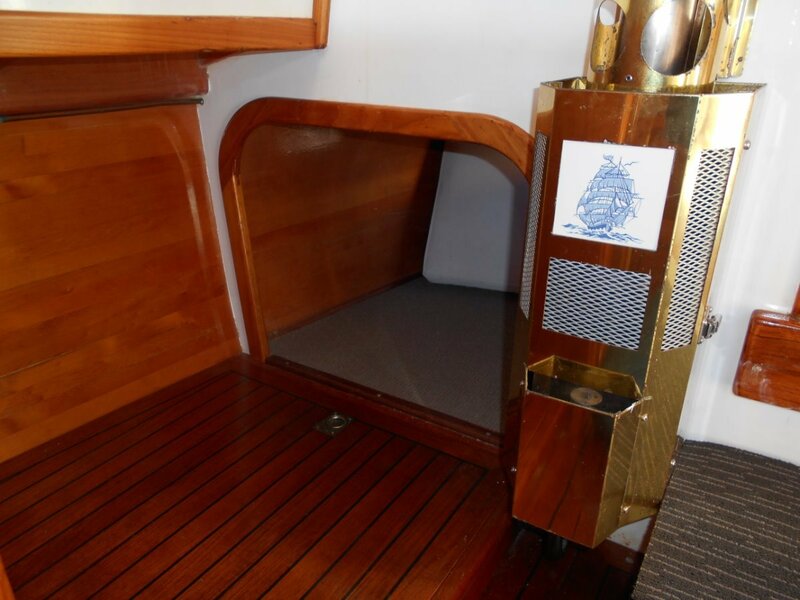 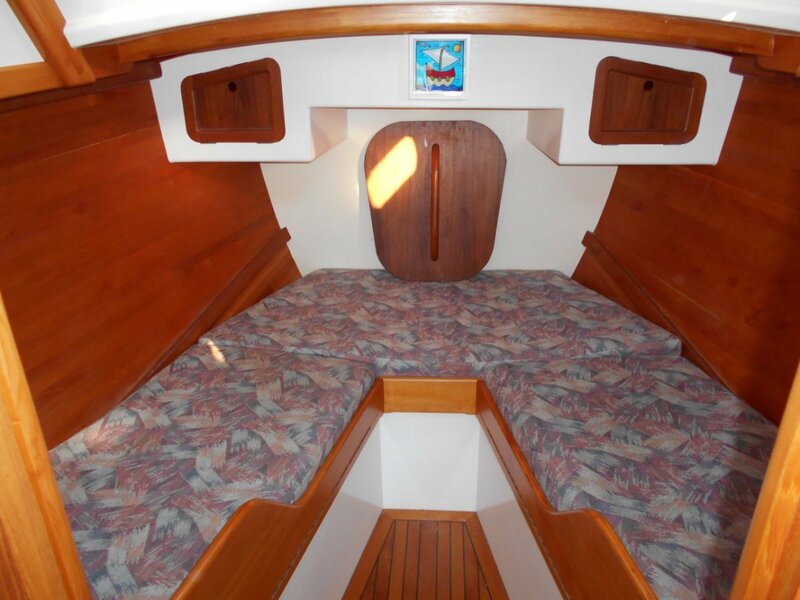 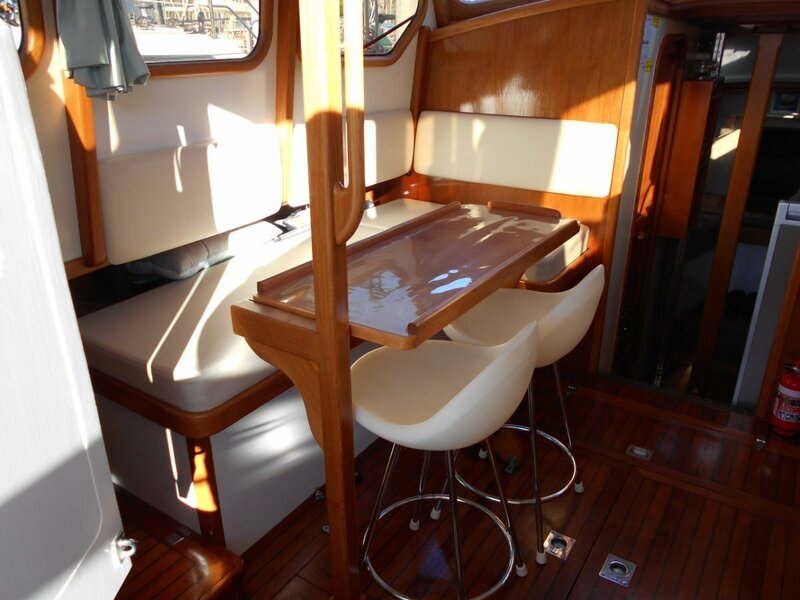 The use of timber is consistent internally throughout the boat with a feature Huon Pine saloon table. 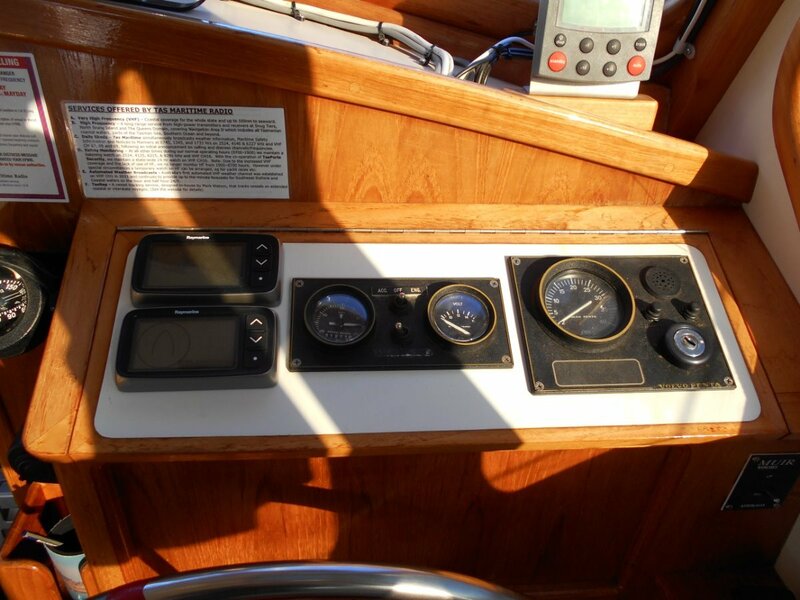 The internal helm station has an array of good electronics with excellent 360 degree vision. 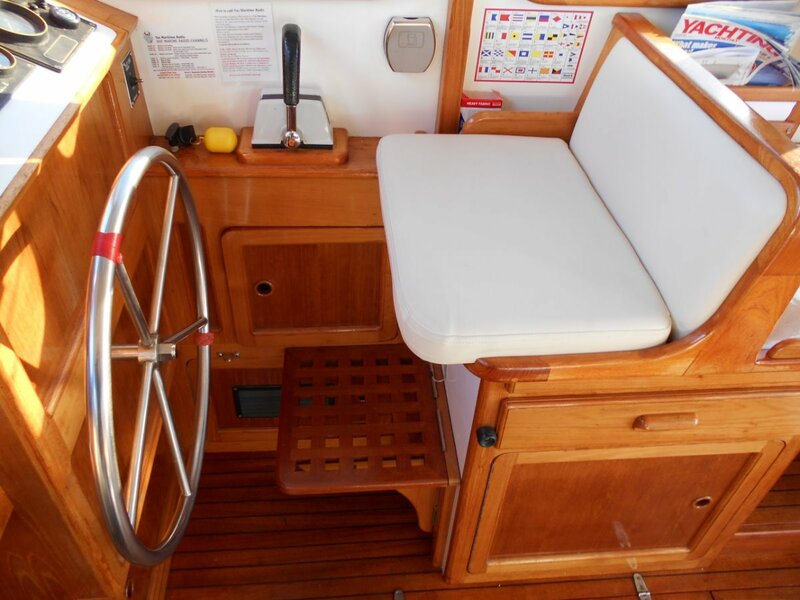 Externally the cockpit is a good size with great seating for crew or relaxing at anchor and with all lines lead aft the boat is easily handled under sail either crewed or single/shorthanded. . 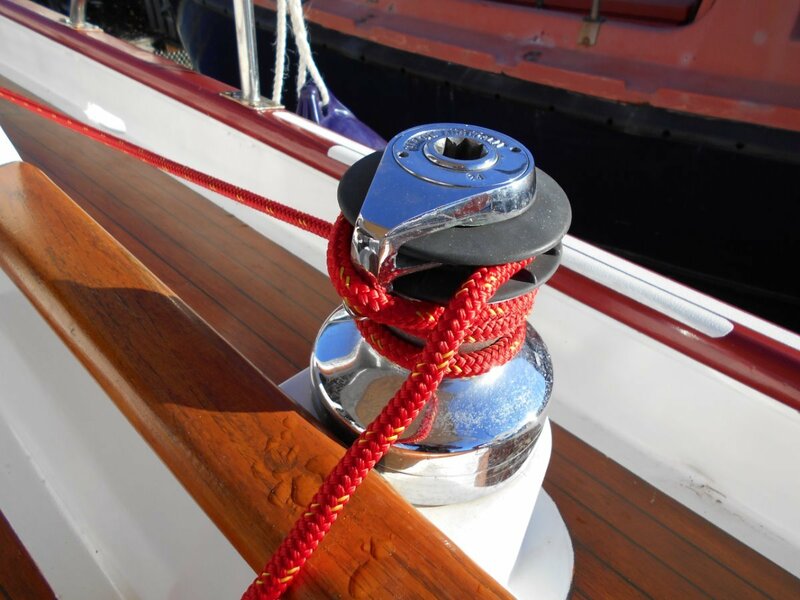 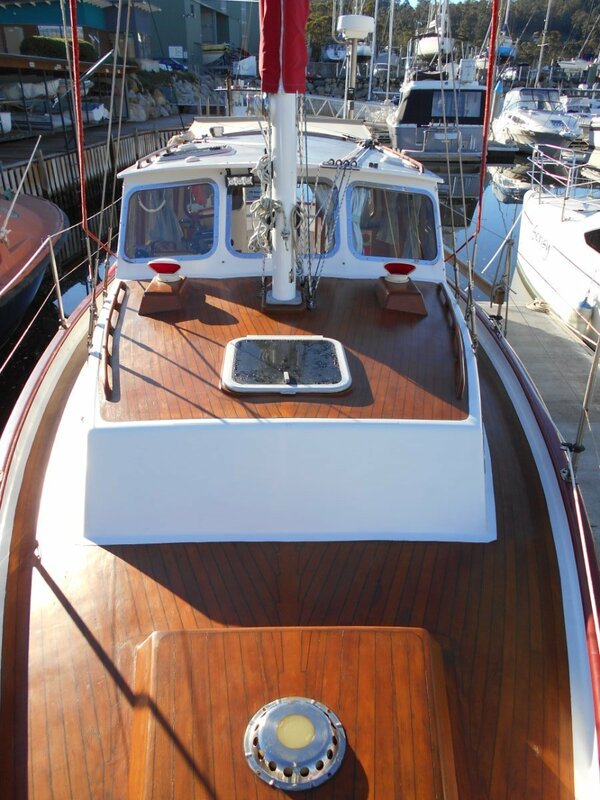 The decks are finished in laid teak to add to the boats great appeal as a true QUALITY VESSEL. 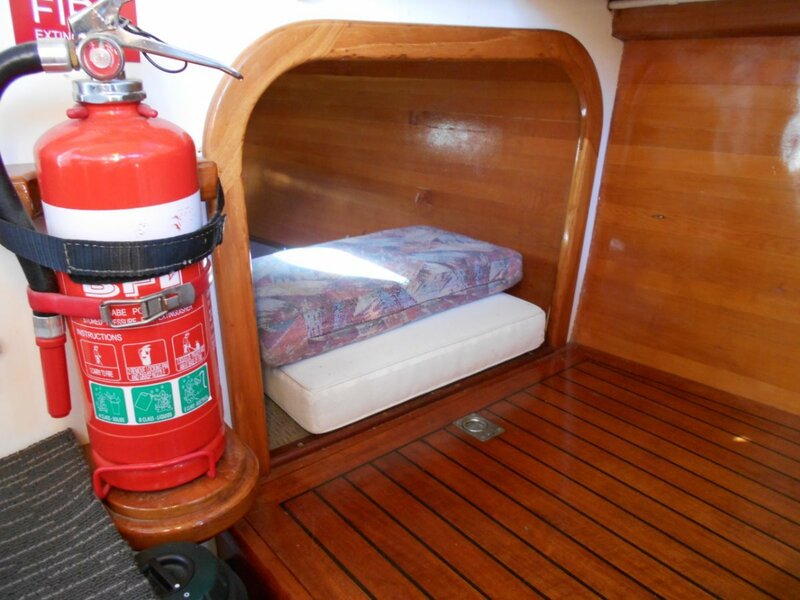 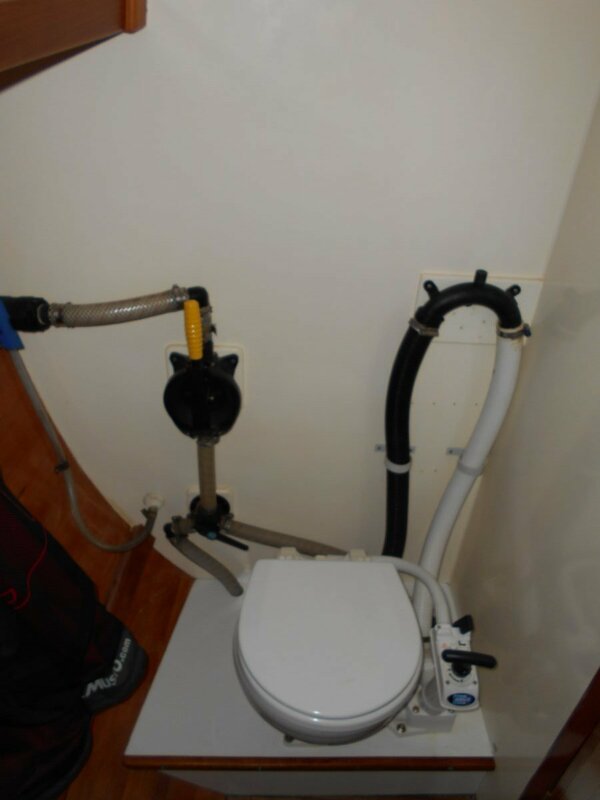 There have been many recent upgrades and inclusions eg sails, diesel heater, fridge/freezer, electric anchor winch, stainless steel dinghy davits, mainsail cover and cockpit awning, the list goes on. 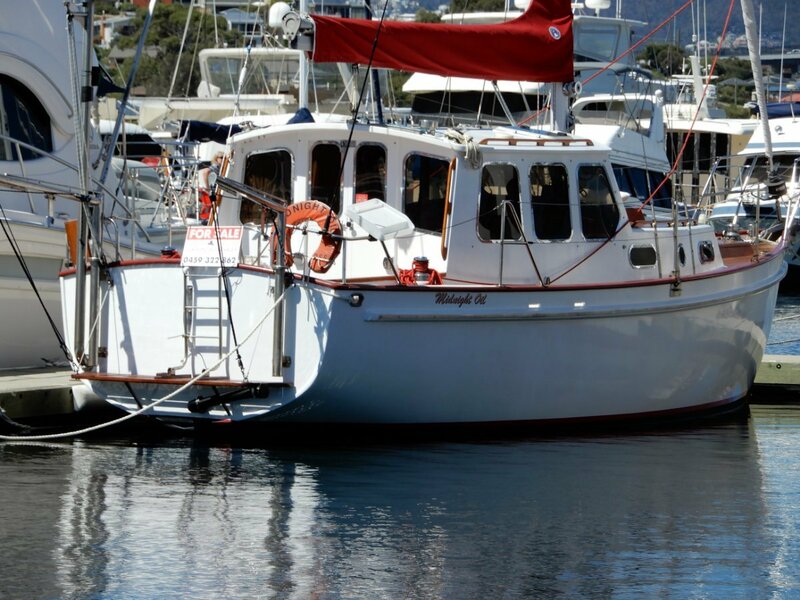 Derwent Boat Sales offers the information on this vessel including condition, in good faith as provided by the Owner/Vendor. 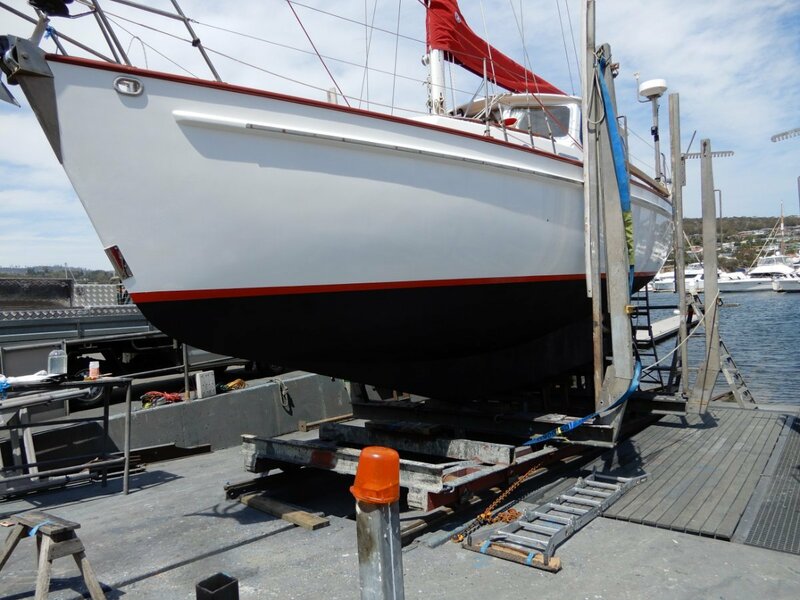 While confident about the accuracy we cannot Guarantee or Warrant it but will assist any prospective purchaser verify this as part of the purchase process. 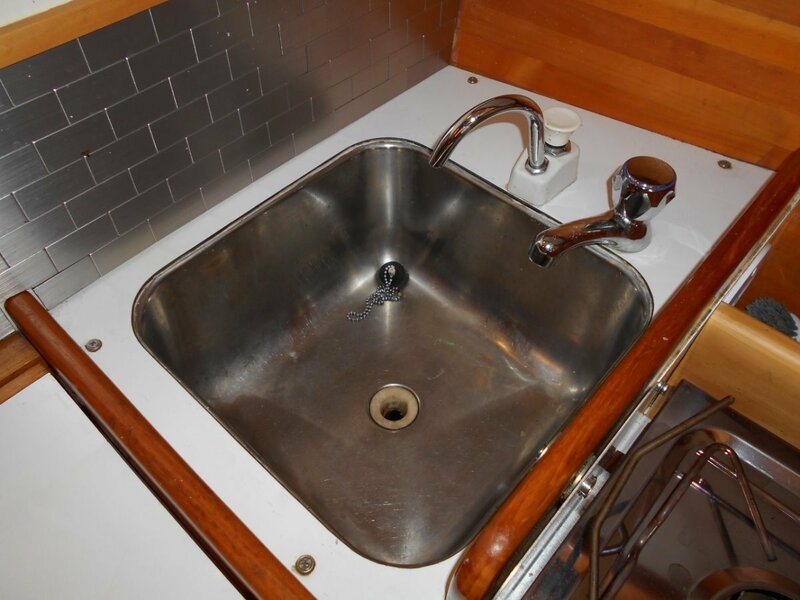 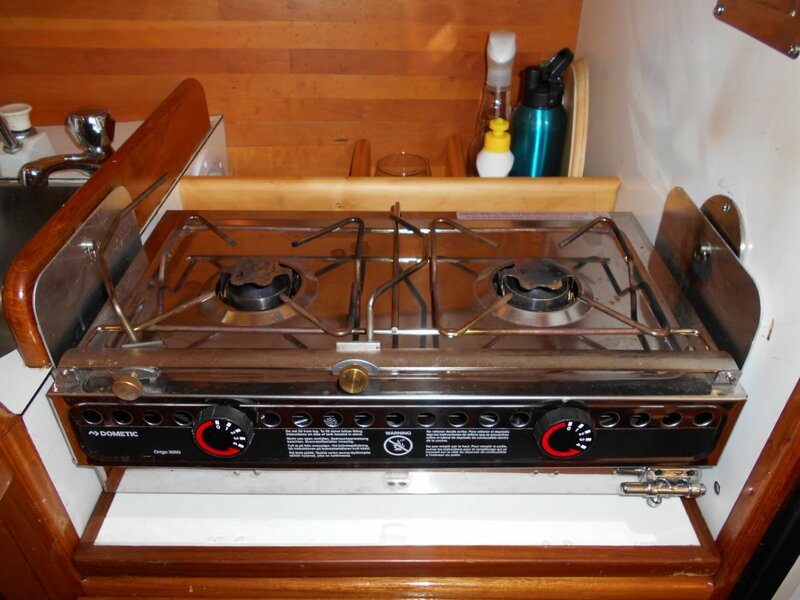 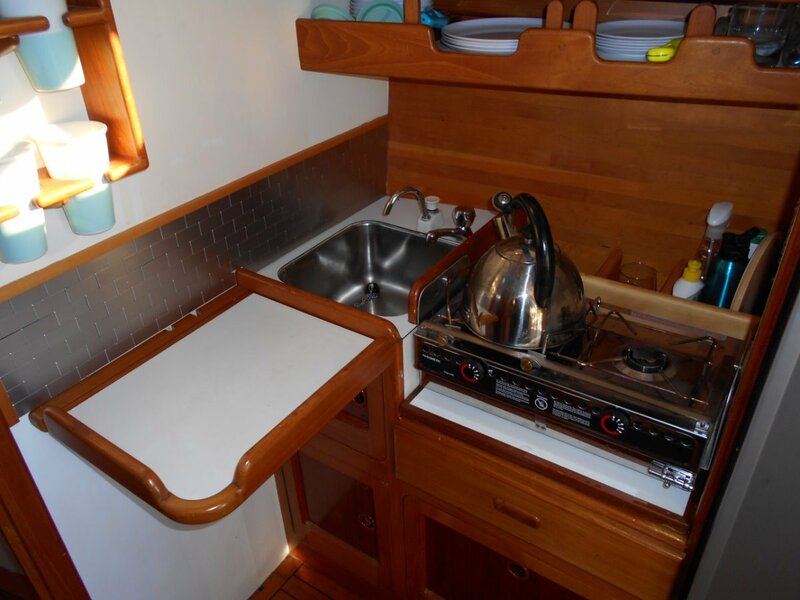 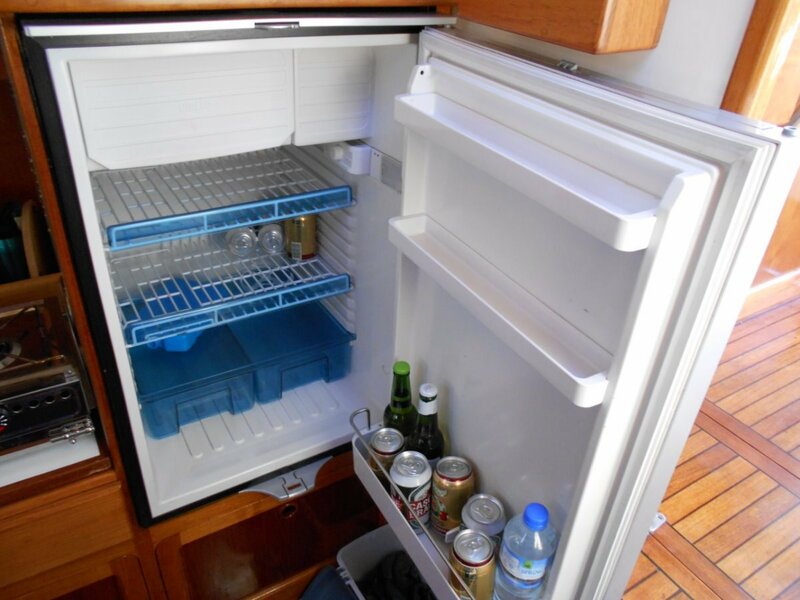 Galley is located forward of the helm station on the Starboard side including Origo 2 burner gim-balled stove, Waeco upright 12V fridge / freezer, Stainless steel sink with pressurised water tap and good storage. 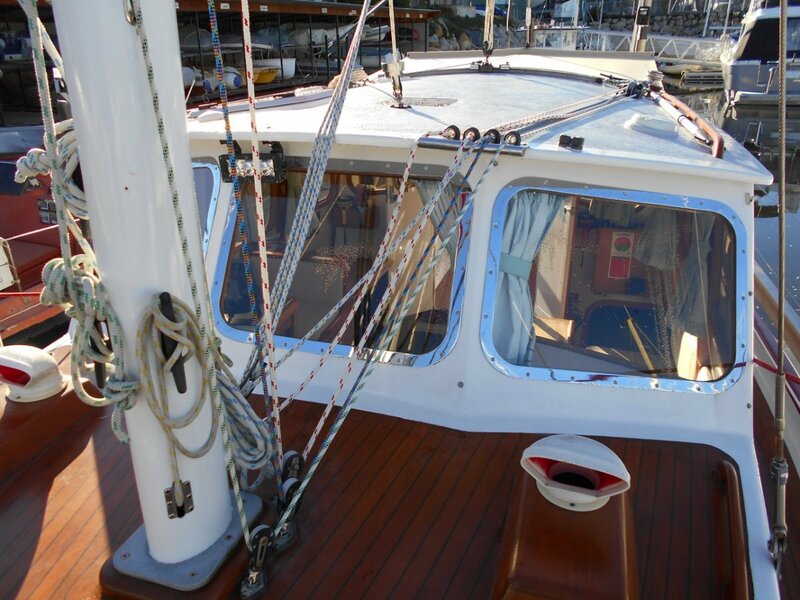 Double spreaders with Furlex Headsail furler and Stainless steel rigging all in good condition. 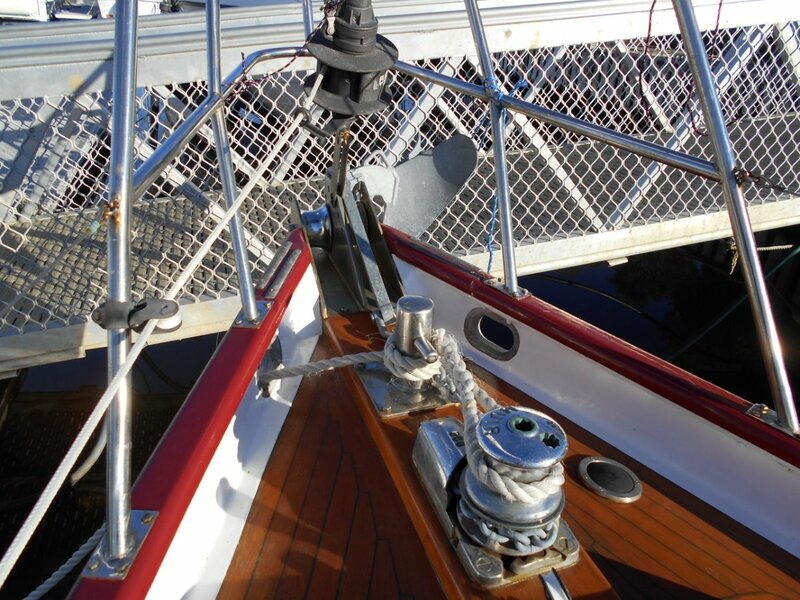 All lines lead back to cockpit making reefing a breeze.